The train will leave the city of Spring, Texas, just north of Houston, and deliver the President to College Station, the home of Texas A&M University, and the George H. W. Bush Presidential Library, where he will be buried, next to his late wife, Barbara, and their daughter, Robin. 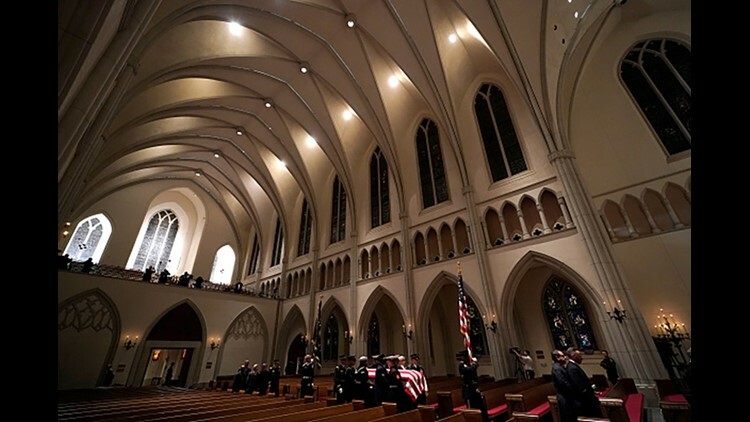 HOUSTON, Texas (NEWS CENTER Maine) – The private funeral services for President George H. W. Bush begin Thursday at 10 a.m. CT as the 41st President is laid to rest at his Presidential Library in College Station, Texas. After the ceremony in which a list of dignitaries, family, and close friends are expected to attend, the President’s casket will be put onto a special Union Pacific railroad train, numbered 4141.